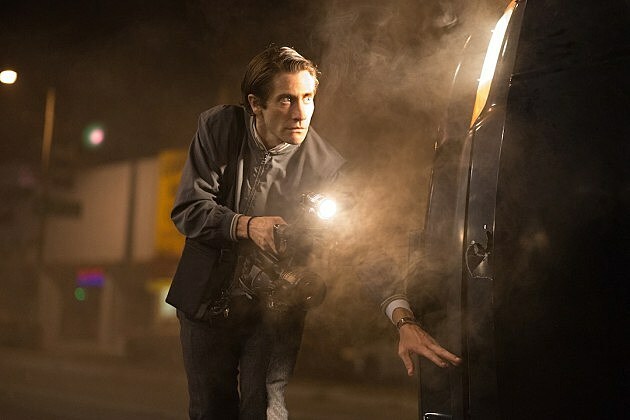 Although ‘Nightcrawler,’ the only new wide release of the week, did end up taking the top spot at the box office this weekend, it did so in one of the tightest races we’ve ever seen. The top six films all came within $3 million of each other and the order could have radically changed by a stiff breeze for all we know. Heck, some titles may get swapped around by tomorrow when the studios release some more official numbers. ‘Nightcrawler,’ the new dark comedy and thriller starring an emaciated Jake Gyllenhaal, took home $10.909 million in its opening weekend. That’s not a terrible number for a movie that was made for only $8 million, but it’s going to need to make a lot more to pay for marketing costs. It’ll definitely be interesting to watch how it plays in the weeks ahead. It’s a dark and deeply uncomfortable movie, so it wouldn’t surprise anyone for it to drop like a stone next week. However, positive reviews (and possible awards attention) may keep it afloat. In second place, ‘Ouija‘ barely lost holding onto the number one spot, grossing $10.90 million in its second weekend. Although the film took the expected second week plunge for a horror movie, it wasn’t as bad as others thanks to Halloween, which gave audiences a real reason to go check out the only horror movie in theaters. With $34 million in the bank, the film is already the hit it needs to be, especially on a $5 million budget. ‘Fury‘ held onto third place, bringing in $9.1 million for a $60 million total. Brad Pitt‘s WWII tank drama is getting close to breaking even on its budget, but the jury is still out on whether or not it’ll actually get into the black at the end of its run. It’s looking unlikely, but it should be okay when you take home video and VOD and such into account. Still, if it can survive a few more minor drops, it has a shot at hitting $8 million or so. It’s unlikely but there is a chance. ‘Gone Girl‘ continued to impress in fourth place, dropping a tiny 20% for an $8.8 million weekend. With a current total of $136 million, David Fincher‘s bleak thriller may very well reach $150 million by next weekend, a number that no one in this film saw coming. In fifth place, ‘The Book of Life‘ showcased some surprisingly strong legs, making $8.3 million for a $40 million total. That’s not an amazing number for an animated film in its third weekend of release, but note the 17% drop. This one could, maybe, hang around for a little while. ‘John Wick‘ suffered a 44% drop and plummeted to six place, grossing $8.05 million for a $27 million total. The film didn’t cost that much and it’s going to be okay in the long run, but it’s certainly not going to return Keanu Reeves to the top of the A-list anytime soon. He will always be in the A-list of our hearts, though. The biggest surprise of the top 10 is undoubtedly ‘St. Vincent‘ in seventh place, which stayed completely steady, actually going up 0.1%. That’s crazy, especially for a quirky indie that no one thought would connect with audiences like it has. With a $7 million weekend, the film has reached $19 million. This could be one of the bigger sleeper hits of 2014. In the final stretch, ‘Alexander and the Terrible, No Good, Very Bad Day‘ continued to do slow but solid business, ‘The Judge‘ continued to be the movie equivalent of a shrug, and ‘Dracula Untold‘ prepared to exit the top 10 as a big fat disappointment.